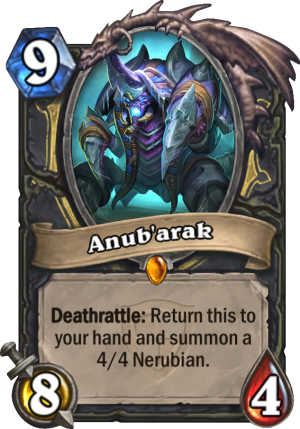 Anub’arak is a 9 Mana Cost Legendary Rogue Minion card from the The Grand Tournament set! Kel'Thuzad will spawn an additional Anub’arak on board if one was slain. 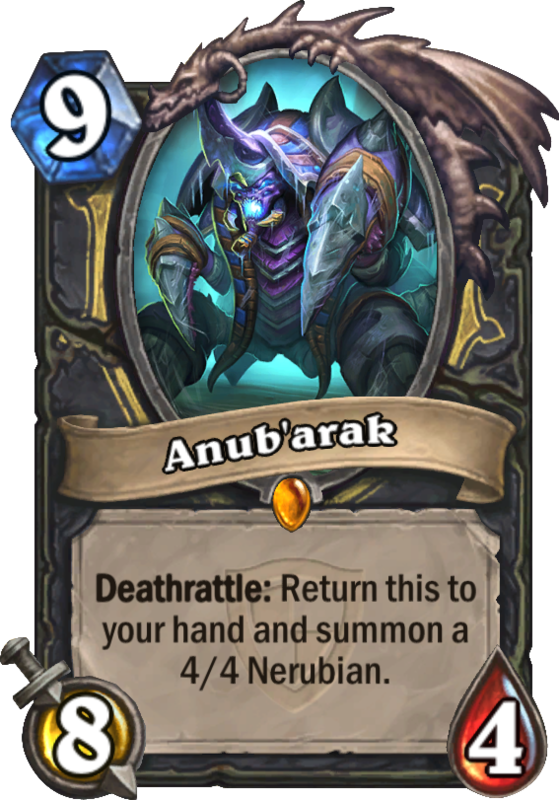 Baron Rivendare will spawn two 4/4 Nerubians, and return ONE Anub’arak to hand. Just… so much mana for an easy to remove minion that doesnt have immediate effect. rogues generally have a bad matchup against control type decks. 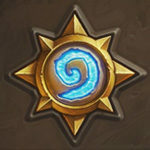 this card can give you enough late game presence to finish off a game, especially if it comes to top deck/fatigue wars. strong against warriors, but it can backfire hard against priests with mind control. Not really viable at all in current meta, but I could see this being used in some tournament decks, especially against something like freeze mage (assuming you can bait out the polymorphs). Even if it cost 7 (!) Mana, I would prefer Dr. Boom. Well, assuming you have a good board, it’s ok but have to agree pretty stinky at 9 mana, maybe 6 or 7 would be better maybe a 3/3 nerubian? Theres a small typo for this page. In the description, you put it as an 8 cost card, but the image shows its a 9 cost card. 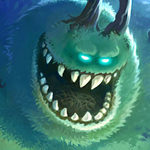 There also seems to be a problem with the Deathrattle Text. It should say “Gain 400 Dust upon disenchanting”. Not much to say. At 9 mana it’s outclassed by Sneeds, and just not a good rogue card. RIP Valeera!